It’s no joke that the world needs authentic leadership at this time, and your calling to make your contribution is in complete resonance with what your chart says you are here to do. So, why not use that information to support and empower your process of stepping into your brilliant limitless potential? The one you were born with. The one path that no one can walk except for you. 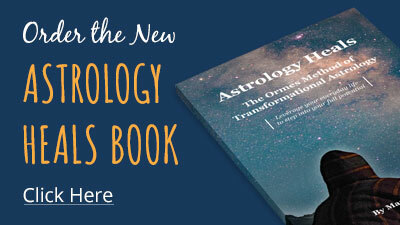 In celebration of the release of my new book, Astrology Heals: The Ormes Method of Transformational Astrology, I hosted a free, 6-part training series through live videos on Facebook. If you missed that series, please enjoy all 6 videos right here! Through the Jet Pack Series, I walk you through your Soul Lessons in ten areas of your life, and help you create your very own Soul-Based Action Plan that will accelerate your ability to create your vision and expand your own concept of what you think is possible. Throughout the series, you will have jet-fueled support for setting your intentions for the New Year consciously, to accelerate your vision and take it to the next level and beyond…all in 100% alignment with your soul’s true purpose. Receive the handouts that accompany each session. This video will help you get clear about your vision for the coming year. Learn why you have more signs than just one! This video will help you create an action plan to support your highest vision for the coming year. This video will help you implement your action plan to support your highest vision for the coming year. This video will help you understand what holds you back and how to transform challenges with your own personal evolutionary instructions. This video will propel you into your most brilliant self in the coming year.